This entry was posted on Tuesday, September 27th, 2011 at 22:54 and is filed under Breaking News, Media, Politics. This is the first I have heard this interview today. WHAT? Ann says that he needs a pass, everyone twists the words, etc….. She is holding him to a lower standard and it is ok. However, Palin cannot get away with this. THIS IS A MUST LISTEN. I'm so over Ann Coulter. Her affinity for Christie is borderline psychotic. She disgraced herself with Laura Ingraham, both of which are flushed. MAkE that two of us Michael, for both Coulter and Ingraham. The only female talking head I believe in now is (always has been ) Michelle Malkin. These two ditzs have just ruined theier careers for NOT BEING HONEST. Ingraham is an O'reilly slave..silly, silly woman and Coulter is just too smart for her own good. GEES you'd think that strong, supposedly intelligent women would be totally behind PALIN !!! THEIR lost. PALIN 2012!! There's Jedediah Bila and Tammy Bruce! Anyone who tries to defend anything that either Hannity or O'Reily disagree with gets a pass from me. It's a wonder how these guys ever get a guest to join them in a discussion they are are on the opposite side of. I get emotional enough to want to thrash them when they talk over every sentence their guest tries to complete, even guests I completely disagree with. However, in this case, I totally agree with Ann! 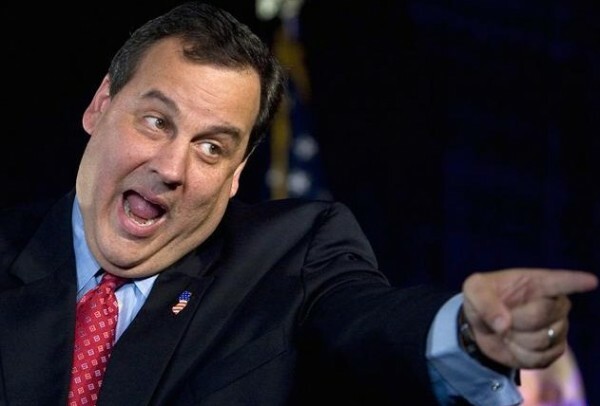 Oh, a bit of a disclaimer: I like Sean and Bill – Bill more than Sean, but I may love Ann even more than she loves Chris Christie! By the way, Great Job Mark! I heard the same interview on my drive home but had a totally different takeaway: Sean Hannity is so full of himself he won't even let his guests get a word in edgewise. Ann was rightfully annoyed, he kept talking over her and wouldn't let her finish a sentence. Contrast this with how Dennis Prager or even Michael Medved would do an interview, uh, they let their guests speak ! btw, Ann does have a point about Christie. He might many conservatives groan but he would probably poll better than any current candidate. Plus she made a very valid point about Reagan enacting a sweeping (?) abortion law while Governor. Even Michael Reagan said his dad might be too moderate for the current Republican environment. One of Ann's main points was she, uh, couldn't even make her point. I too would be annoyed, just as Sarah was when she kept getting interrupted by Bill O'Reilly. Hannity's (and Bill O's) schtick is basically to shout down and talk louder than his guests.